Where are the great, fenced playgrounds in your local area? What if you’re going somewhere new? As I’ve written before in my list of the best fenced playgrounds in Sydney’s north, mums and dads love a fenced playground. Here on the blog there’s also a guide to great fenced playgrounds in the Eastern Suburbs here. Here’s a quick how-to on using local council websites to find great playgrounds to enjoy with your kids. Every council has some info on the parks and play areas they maintain, it’s just a matter of finding it. 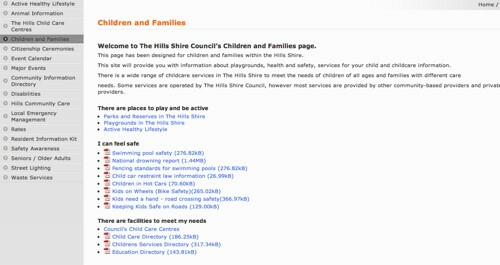 I’m starting off using the The Hills Shire Council website as an example, because it’s a great example of a council making mums’ and dads’ lives easier. So here’s the main page of the website. Click on the Residents tab. 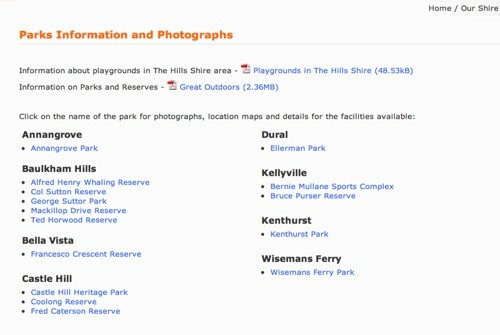 Click on Playgrounds in the Hills Shire to download a PDF which has very basic info on all the playgrounds, including whether they are fenced or not. 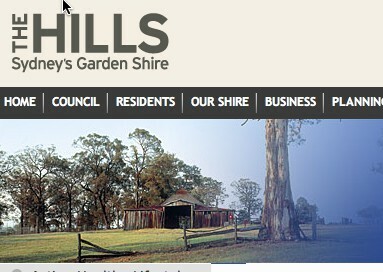 Well done Hills Shire Council! 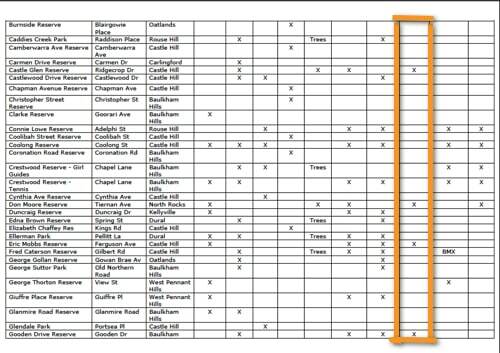 How about some of the other councils nearby? There is a list off dogs off-leash parks… how about a list for off-leash children next!! 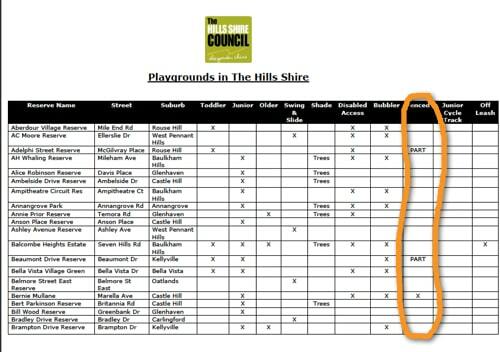 Hawkesbury City Council has a Recreation Guide PDF with information about Parks and Reserves, and indicates which parks have playgrounds, but no further details. Blacktown City Council doesn’t seem to have a useful list on its website. Come in Blacktown, you can do it! Can you recommend a great fenced playground in your area? Does your council have a great website? I am in blacktown council – no wonder I trek across the main Rd to hills Shire to use their playgrounds. Once you have 2 kids a fully fenced playground is gold! You are 100% correct! For anyone with two kids, twins or a child with special needs, fenced playgrounds are the only way to go. And I should know as I have had all of the above over the years! Once found, never forgotten.